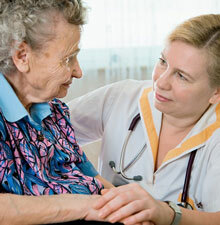 Will Medicare Pay for It if I Have to Be in a Nursing Home? As a general rule, Medicare does not pay for the long-term room and board expenses incurred when it is necessary for you to stay in a nursing home or other long-term care facility simply to receive custodial care, or help with daily activities like dressing and bathing. However, Medicare Part A, which is hospital insurance, may cover the costs of skilled nursing care that is medically necessary, at least for a limited period of time under certain circumstances. In order to be eligible for Medicare to pay for your skilled nursing care, you must have at least a three-day inpatient stay at a hospital just prior to moving to a skilled nursing facility. You must formally be admitted to the hospital by a doctor’s orders; any outpatient care at the hospital, such as for observation, does not count toward the required three-day inpatient hospital stay. When Medicare does pay for skilled nursing care, it pays for the entire cost of the first 20 days of your care. For days 21 to 100, however, you must pay coinsurance in the amount of $161, which will increase to $164.50 in 2017. For days 101 and beyond, you are responsible for all costs of your care; Medicare will not pay for any services in a skilled nursing facility beyond the first 100 days of your residency. Furthermore, Medicare Advantage Plans (Part C) or other Medicare health plans may provide some coverage for nursing home care, if the nursing home has a contract with your plan. You should always check with your health plan in order to see if you have coverage, and, if so, the extent of your coverage. Finally, Medicare Part D, which provides prescription drug coverage, will pay for your covered medications while you live in a nursing home or other facility. You will get your medications from a long-term care pharmacy that works with your plan, which is usually owned and operated by the institution in which you are residing. Navigating the landscape of Medicare and paying the costs of long-term care alone can be very difficult. If you are in this situation, we can help. Call the Law Offices of The Elder Law Firm PC today and learn how our Grand Rapids Medicare attorneys can advocate on your behalf.